This is an outline for those individuals with who need a training structure to prepare for the MS 150. The focus of this training is to make the experience a positive one and is not intended for competitive readiness. We meet at the southwest YMCA on Saturday or Sunday morning. This first Tans ride is our original training ride. This "Modified Tans" is the same basic ride except we wanted a greater challenge so we added more miles. 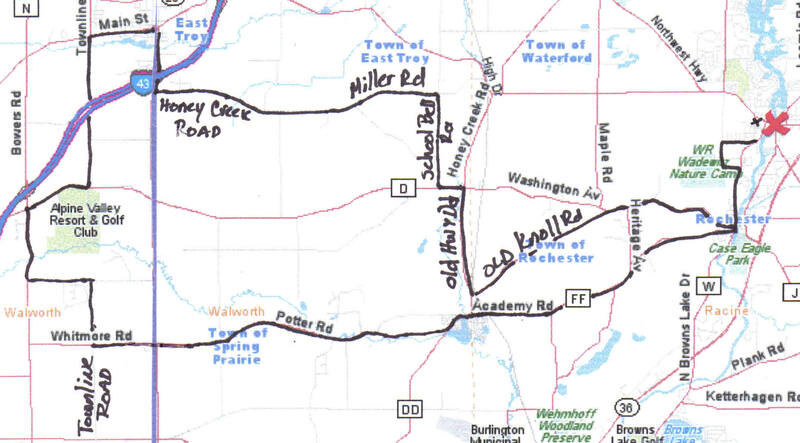 This is approx 35-36 miles in length, start/finishing at the Waterford High School. We actually did the 66 miler but most of this ride in encorp. in the 66. Good hills, challenging course, it would be good to mix it up a little. 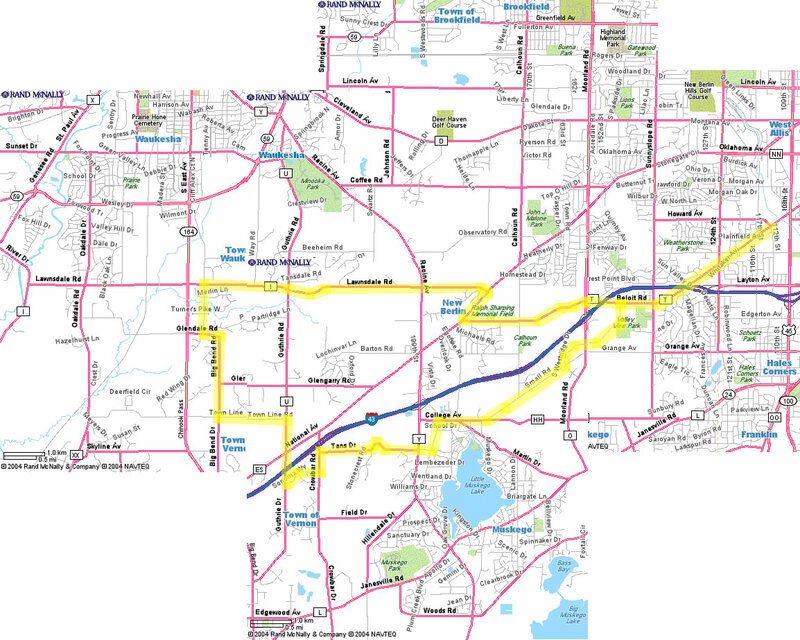 Modified Interurban Route. Meet at the Mequon Rd. Trailhead. 40 miles, but we can do a 30 mile version depending on the group. Directions to ride: 43 north to Mequon Rd. West on Mequon Rd. @ 3 miles. Continue on Mequon Rd. past Hwy 57 (Cedarburg Rd) about 2 blocks. Parking lot is on the right (near cemetary) If you cross the Railroad tracks, you have gone too far! I have found this website www.MapMyRun.com. It allows you to map a run using Google maps and it tells you how many miles long it is. Now that Canal street is open in the valley I have mapped a ride from the YMCA to the lakefront. I have not riden this yet so I cant say how it is. I will ride it soon and let you know.